DBPOWER T22 Upgraded 2400 Lumens LCD Mini Portable Projector delivers brigher image as it has 2400 lumen and 2000:1 contrast ratio. DBPower claims that T22 projector model is 70% brighter than ordinary LED projectors. Amazingly, it has 3D functions so it can be a great movie projector for home entertainment for playing video games, watching movies and viewing images. 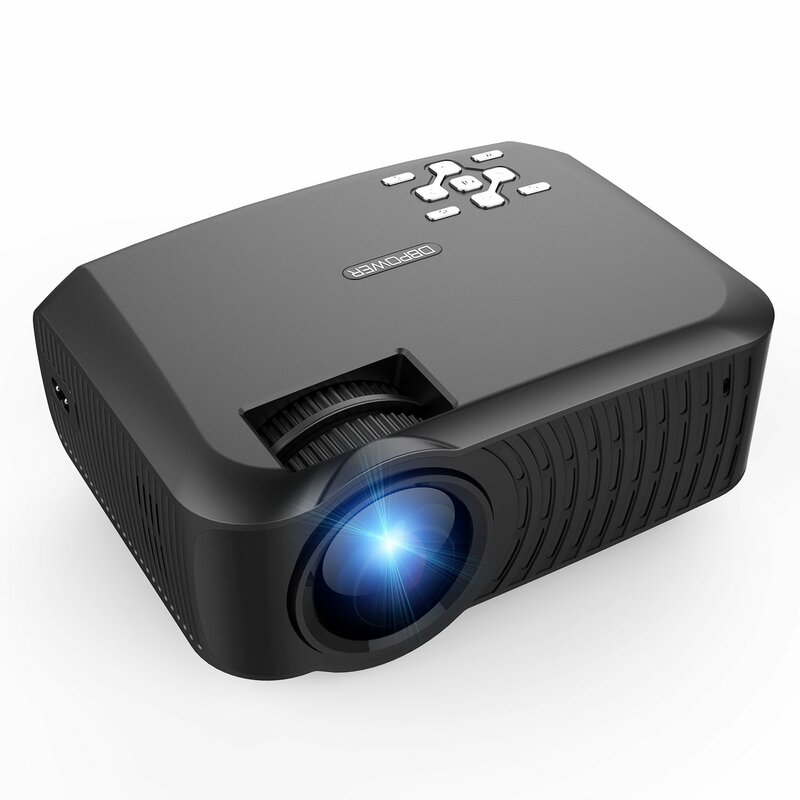 Further, DBPOWER T22 Upgraded 2400 Lumens LCD Mini Portable Projector has great adjustability capacity when it comes to projection size, the projection size is from thirty inch to 176 inches with 1.1 to 5 meters projection distance. This T22 2400 lumens DBpower projector is perfect for use in both big and small rooms. Also, it carries latest speaker system that results in 50% louder sound than others. Of course, you will not require extra speakers in normal size rooms. Also, it has long lamp life of approx. 50000 hours, that means it can last for years. DBPOWER T22 LCD Mini Portable Projector allows multiple inputs including USB, HDMI, SD, AV and VGA, and it also works with iPhone, iPad, Android phones, personal computer, gaming consoles and so on. This high quality DBpower T22 projector is also supported with 3 years of warranty with professional customer service and technical support. However, this T22 projector is not recommended for PPT or business presentations.